It’s National Day. Be it strange durian confectionary or tote bags based off the delightful way we slurp kopi, the onslaught of locally-inspired collaborations are as fierce as the way we belt out patriotic songs at NDP. And yet, there’s one we just have to be excited about… an eyeshadow palette! Oh, but it’s not just any humble quad of shimmery eyeshadow shades, and here’s why it’s so special. We’re talking about NARS, a renowned international beauty brand, dedicating an entire Quad Eyeshadow palette to our home — truly a feat! 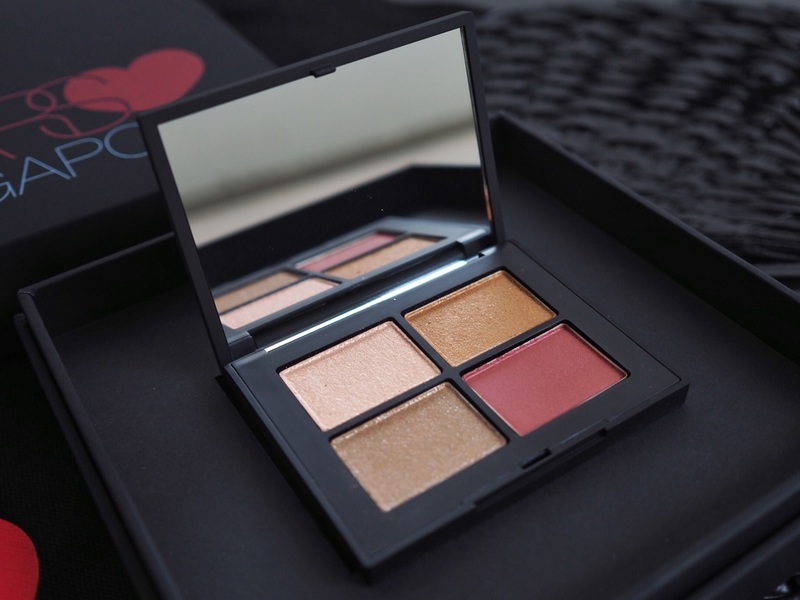 Now, NARS has dedicated makeup items to several cities before, notably a Duo Eyeshadow called ‘Tokyo’, a Single Eyeshadow in ‘New York’, and ‘Bangkok’, a matte lipstick. This year though, we are joining those elites, so we can’t help but beam with pride! First off, we’re pretty thankful they didn’t go down the whole red-and-white route, because you know, that’d be totally cliché and unlike the edgy, rule-breaking beauty brand we’ve come to know and love. I mean, how strange would that be as well? Instead, we’re getting beautiful, classy colours that are totally wearable! Here’s how the palette looks like up close. 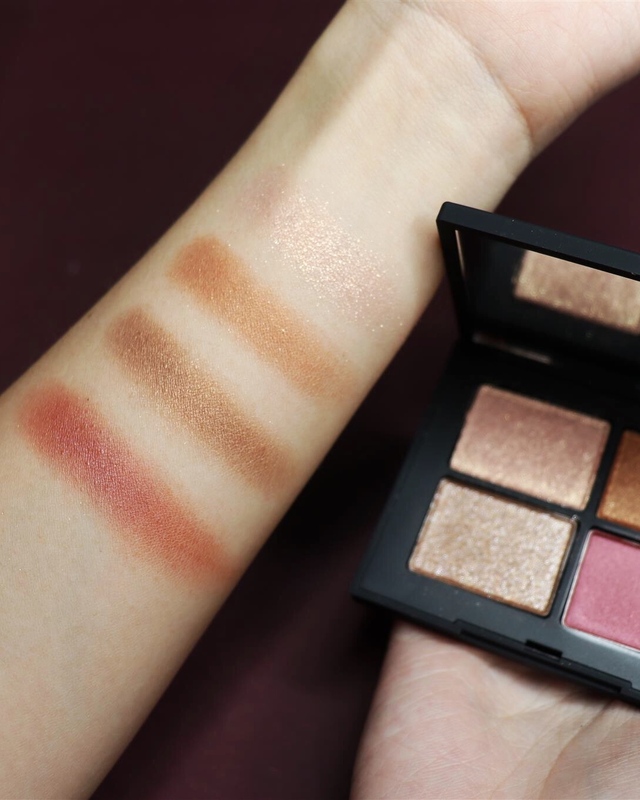 The versatile shades are a shimmery pale gold, metallic brass, sparkly bronze and a touch of that rust red, which go well together for any infinite number of makeup looks. And here’s how they look when we swatched it onto fair skin. Like all of NARS’ quality makeup, the new formula goes on with an intense colour payoff, so you’re getting these rich, high-impact shades in one swipe. We swear, one swipe’s all we did! The glitter pigments transfer well too, as do the metallic ones. In fact, the camera can’t quite do the multi-dimensional hues justice here; the red actually has a subtle metallic sheen that comes alive when the light hits it. Of course, what really warms the heart are the soft, buttery textures that we feel on our skin. As for what it’s inspired by exactly? We know that NARS Cosmetics’ Founder and Creative Director François Nars, has always had a keen artistic eye, so his ideas are usually more subtle, dreamy and thoughtful, than literal. In this case, it’s less the exact Pantone red of our Singapore flag, but moods and textures that remind him of our cosmopolitan city. It could be the shimmering gleam off our skyscrapers or the way the tropical light hits our streets come golden hour — whatever the case, the magic happens when you interpret it your way. Take this makeup look, for instance. We like how pigmented the shades are here, and for what can be considered a dramatic red eyeshadow look, the colours are flattering and well-balanced thanks to the gold, metallic sheens. Even when paired with red lipstick, it looks more stylish than overly patriotic. Yeah, it’s a daring look, but hey, maybe Singapore could use some of that! For a more subtle interpretation, you can also go more light-handed on the reds, blending it out more over the entire eyelid, before packing on the gold glimmer. Pair that with glowing skin and a soft peach lip. 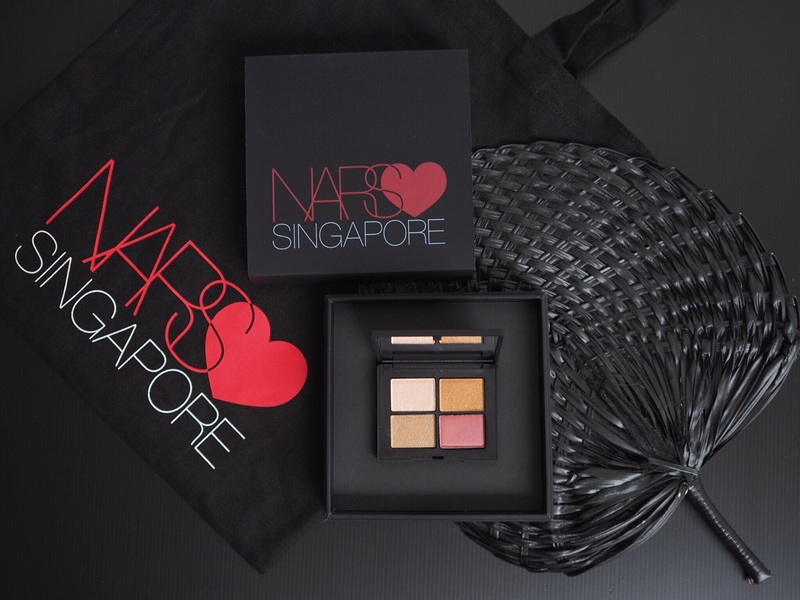 As if it couldn’t get any better, Singapore’s actually the first to get our hands on the eyeshadow palette! It’s only apt though. The NARS Singapore Quad Eyeshadow will be out in NARS boutiques on 9 August, before hitting global boutiques from September as part of this year’s Fall collection — now, how’s that for a world premiere? Right here on our little red dot. 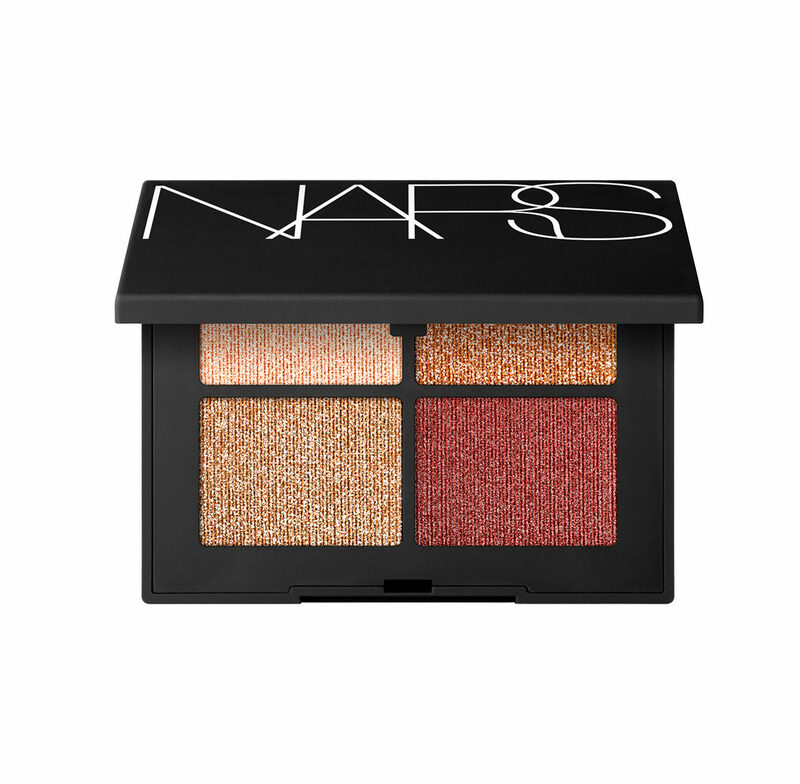 NARS Singapore Quad Eyeshadow, $80, exclusively available in Singapore from 9 August at NARS boutiques and counters. Available from September, as one of eight new Quad Eyeshadows, at all NARS boutiques around the world.